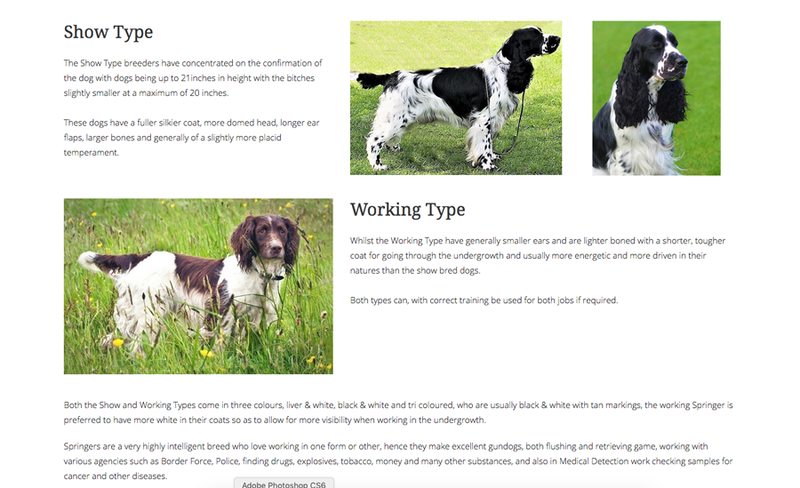 This week's website of the week goes to Just Springers Rescue. 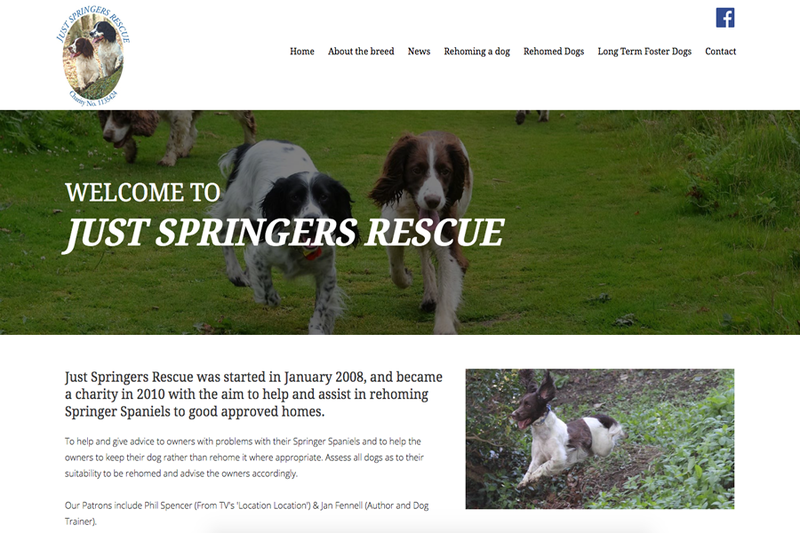 Just Springers Rescue was started in January 2008, and became a charity in 2010 with the aim to help and assist in rehoming Springer Spaniels to good approved homes. The website features a white website with blue accent colour. The text is a dark grey instead of black so that it's a softer contrast. The website has call to action buttons, social media icons, a header slide show, dynamic drop down menus and more. 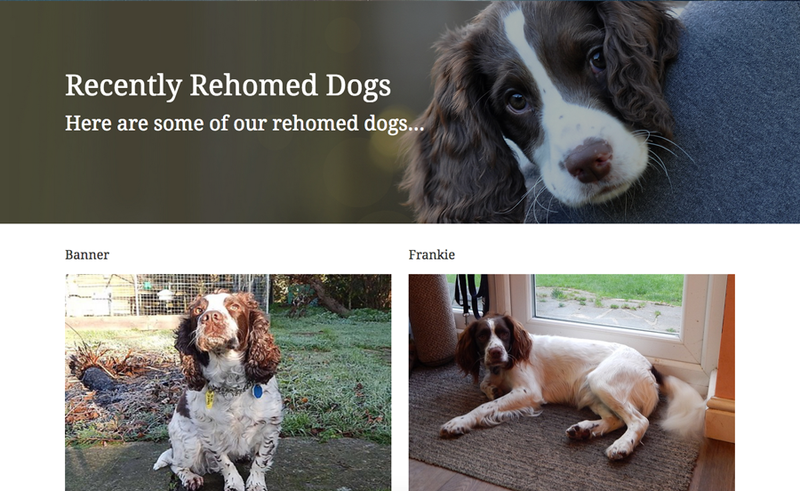 The website features the clients own imagery of the dogs they've rehomed, which means that you get a clear representation of the charity and what their aims and objectives are. The images are genuine and friendly. 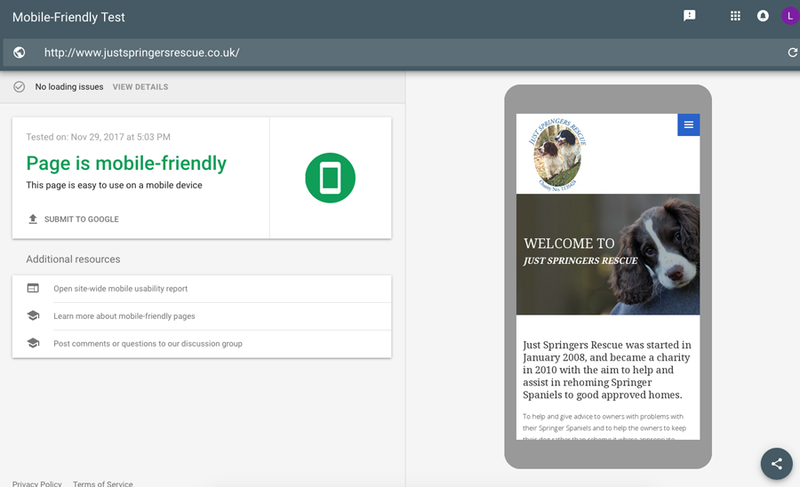 The website passes Google's Mobile Friendly test so that people using any device can easily access the website. This is integral to being found online. We’re on hand Mon – Fri, 9:00 am – 5:30pm by email or on our standard rate number 02380 633 644 . When you buy a web design package from Toolkit Websites, we become your web team, with email and telephone support, and step by step guides. Did you know... we work with charities from all over to help get them an online presence.